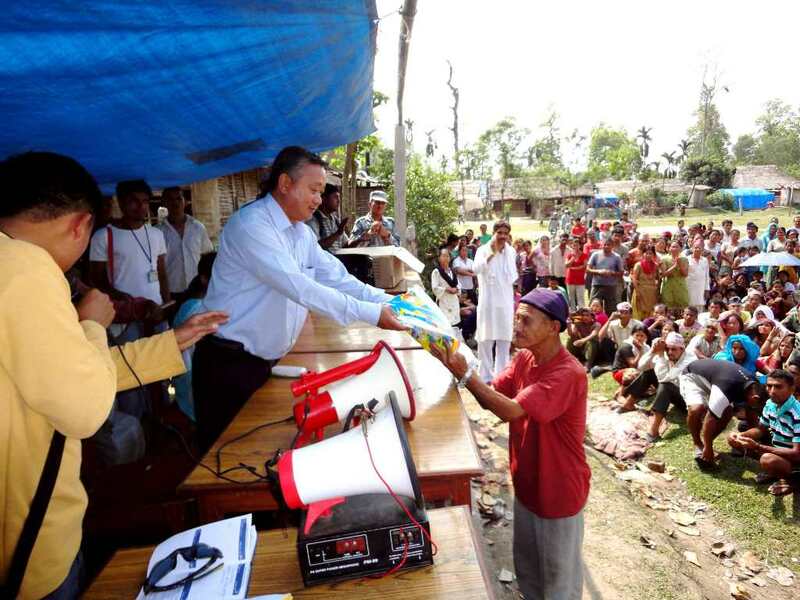 Ministry of Health and Population, District Public Health Office Morang has provided insecticide treated bed nets (LLIN) to fire victims of Bhutanese refugees living in Goldhap Jhapa Nepal. DPHO Nawaraj Subba and Dr. Madhurima Bhadra from AMDA jointly distributed on the basis of one each bed net for one hut. Total 512 huts of Goldhap refugee camp were engulfed by fire on March 22, 2011. This support is given upon the request made by AMDA and considering public health and humanitarian ground mentioned today.